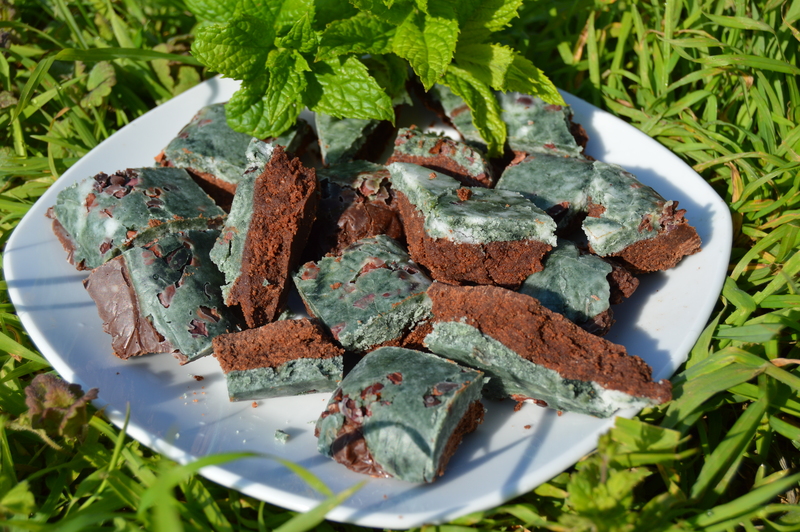 A rich, decadent and refreshing fudge boosted with a layer of the seaweed spirulina. The only sweetener used is xylitol. This gives a cooling taste that works well with the mint and doesn’t leave your teeth feeling sticky after eating. A few cacao nibs gives a crunchy texture. It will last for several weeks in the fridge, but mine is always eaten after a few days. Chop up the creamed coconut and melt over a low heat. Grind the xylitol into a fine powder. 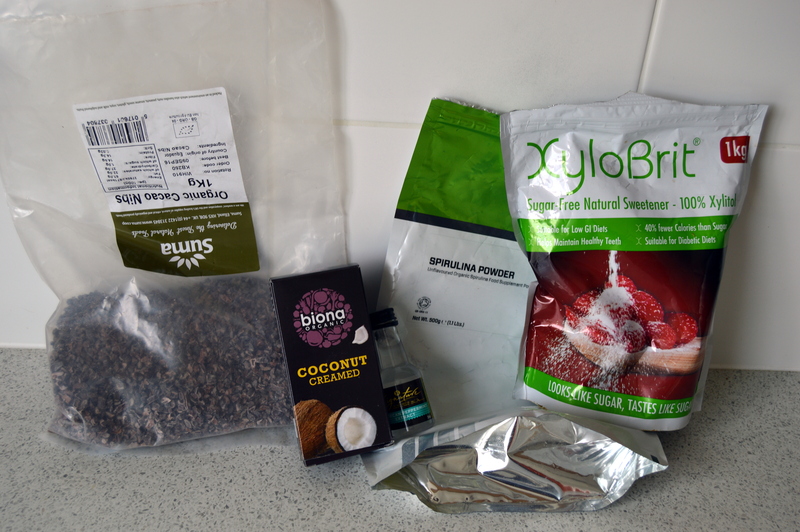 Mix together the melted creamed coconut, xylitol and peppermint extract. Separate 1/3 of the mixture and mix in the spirulina. Line a tray, sprinkle on the cacao nibs and then spread the spirulina mixture on top. Mix the cacao powder with the remaining mixture. 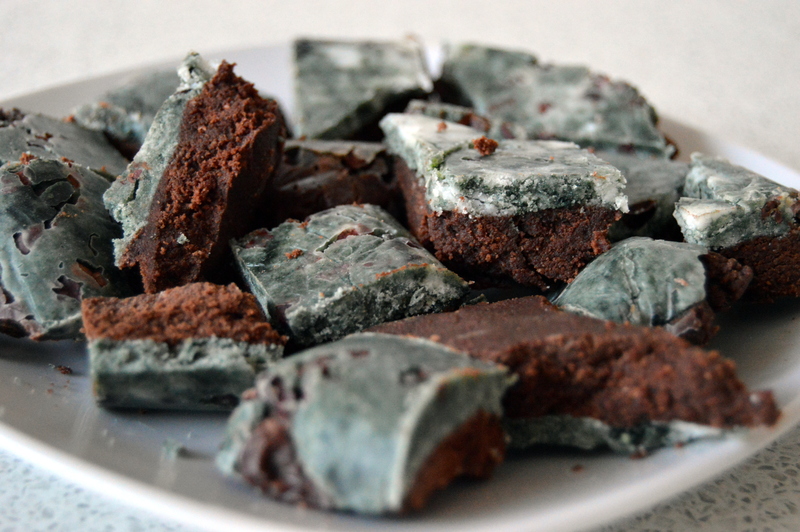 Spread this on top of the spirulina mixture and chill in the fridge for at least 30 minutes. Chop into bite size chunks and serve. Will last for several weeks in the fridge.